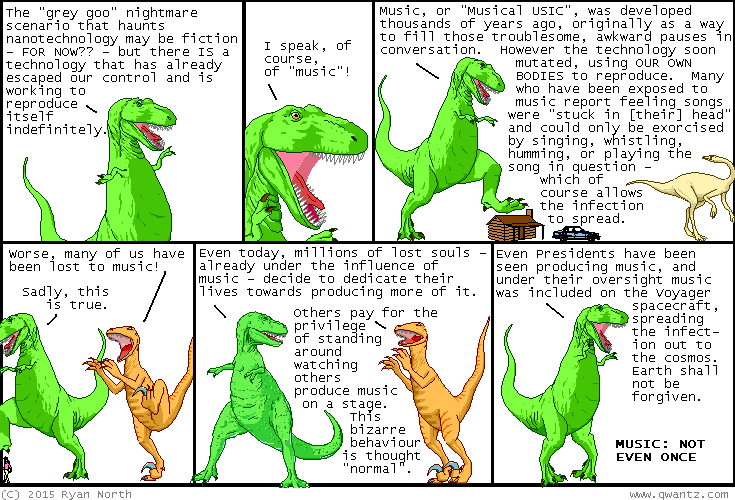 Dinosaur Comics - September 21st, 2015 - awesome fun times! –NEVER SLEEP WITH A WIZARD. September 21st, 2015: I wrote this comic while under the influence of music and it is too late for me; you must save yourselves.